If you're looking for a slate tablet PC running Windows 7, here's one to consider. Fujitsu introduces the STYLISTIC® Q550 Slate PC, designed from the ground up to meet the rigorous demands of mobile business users. Compared to the HP Slate 500, the Fujitsu Q550 is larger and a bit heavier, but it includes a removable battery (which appears to be $129). Plus, the Q550 includes a Fingerprint scanner and a SmartCard slot. If you don't need these types of features, then the HP Slate 500 is a nice option because it's smaller, thinner, and lighter. I currently use the Slate 500 but I'm waiting to see how the Q550 will compare to it. If you're working in a hospital, you may want to consider the addition of a hand strap so that you're less likely to drop the Q550 on the floor. 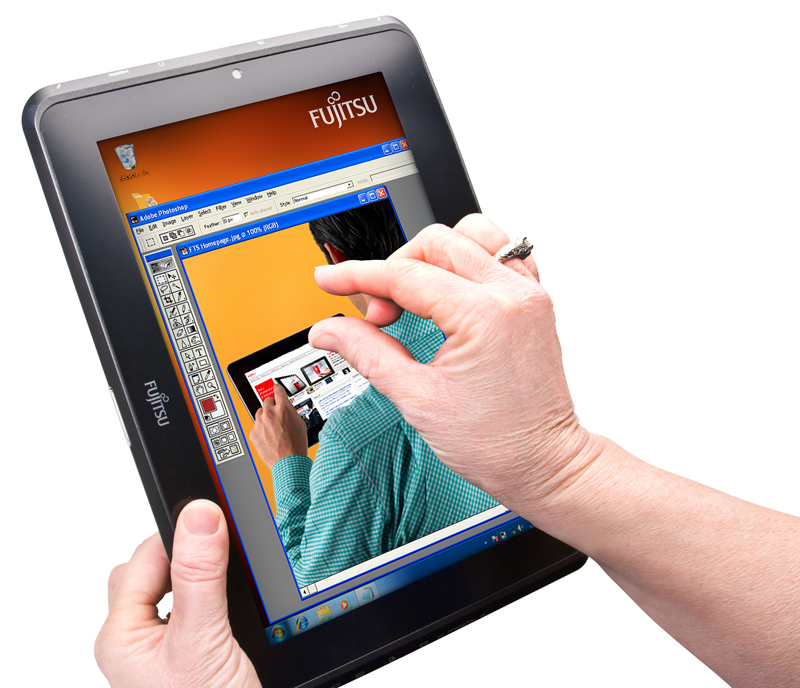 Neither the Fujitsu Q550 or the HP Slate 500 are rugged PCs. If you're looking for a rugged slate PC, wait for the Motion Computing CL900.